The job opportunities in Uganda are good if you know how to deal with the computer. For over 20 years Kolping Uganda supported by Kolping INTERNATIONAL is commited with the comprehensive improvement of living conditions in this East African country. This includes transit and support for vocational training projects. For, although in Uganda is a relatively good access to basic education, there is a Going Further Education, which prepares for the workforce, but only the least open. Many school leavers have no professional qualifications. The result: You do not find work or do unskilled work force under exploitative conditions. Young people need a solid professional perspective in order to provide for himself and their families. Uganda Kolping will achieve this by disseminating young people the skills that are in high demand in the labor market, such as working with computers including the popular computer programs. 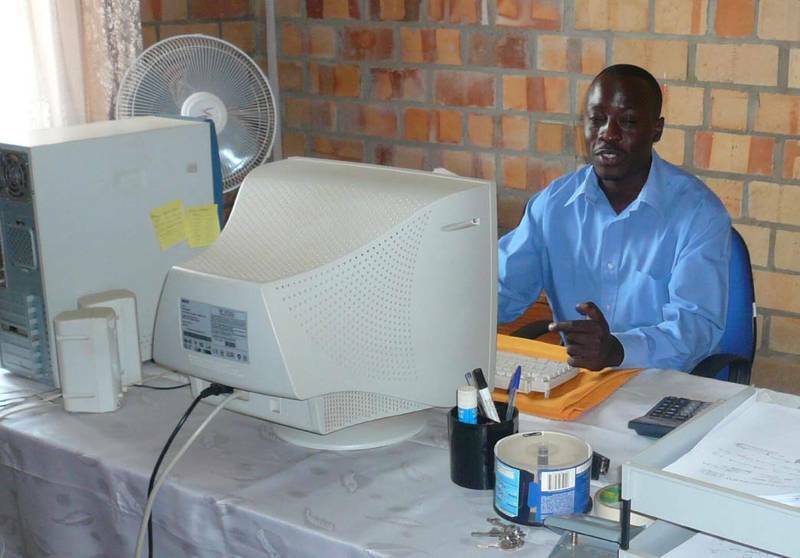 Kolping Uganda Society plans to set up a computer center in the capital Kampala. There young people have the opportunity to take courses with different content to show, such as typesetting, graphic design or the use of common office software. A course lasts up to four weeks - after that the participants have a good base to be employed in a clerical or Grafikbüro too. Kolping Uganda would like to address with this offer, especially young women, to give them equal opportunities in the labor market. The facility will cover the running costs of this by offering computer services in Kampala. Excess flow to a fund that can receive training from the participants who wish to become self-employed, a startup loan. Kolping Uganda requires a subsidy of 14,000 euros to set up the training center with computers, printers and a scanner as well as furniture. Your donation will give young people a chance for the future. für unser Projekt in Kampala!